Jessica Brillhart has been innovating in VR since the technology's early days. 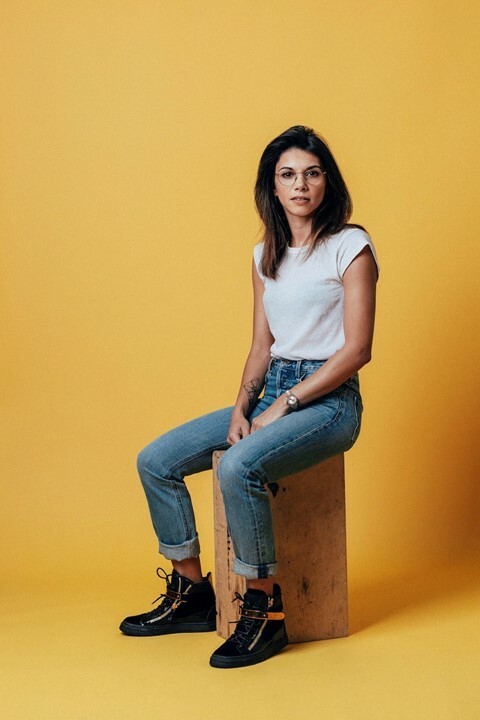 A former principal filmmaker for Google, she has continuously experimented in new immersive mediums, also helping to develop the tech company’s 360-degree video capture system, Google Jump. Recently launching her own independent studio Vrai Pictures, Brillhart explores how VR, AR, and AI open up new ways of telling stories through audience participation. A leading theorist and engaging public speaker, Brillhart’s works reflect on important cultural and media-related themes. Ambitious projects such as Navajo Nation confront the issue of cultural representation within immersive media, while the award-winning musical VR experience Beethoven’s Fifth explores the boundaries of human perception. She also makes time for wonderfully weird side projects: Conditions of Omaha pairs nostalgic 90s weather reportage from Nebraska with the smooth jazz sax of Kenny G.
Brillhart embraces the exciting potential that immersive technology holds for conventional storytelling mediums. Hoping to show “why I believe I am a filmmaker and what a filmmaker really is” in her SXSW film keynote talk, Brillhart will also introduce Traverse at the festival – an immersive audio platform which allows visitors to walk around inside spatialised music. Utilising mobile devices and AR-ready heaphones, the first-of-its-kind platform responds to users’ movements through distinct sound spaces. Traverse premieres at SXSW with two original Brillhart-directed projects. From Elvis in Memphis lets visitors enter the studio with Elvis Presley and his session musicians on multitrack recordings of “Suspicious Minds” and “Power of My Love”. Brillhart feels that Traverse shows how AR can add depth to how we connect with music – be that through discovering a harmonica player “who’s just going crazy” in the background, or noticing the odd crack in The King’s voice. Another experience, The Arm of InSight, welcomes listeners onboard NASA’s InSight mission to Mars, featuring audio from mission control and images captured by the lander itself. Speaking to Dazed ahead of SXSW, the pioneering filmmaker discusses the future of VR and her drive to create accessible and inclusive immersive experiences. What inspired you to start your own immersive studio? Jessica Brillhart: I felt that there needed to be more thoughtful design and an artistic edge to immersive. We’re dealing with this new way of interacting with the world and each other: how do we design that beautifully and elegantly, how do we help people evolve with this new kind of media? The people who should be getting access to experiences that encourage a broader perspective of diversity in the world – they're usually the last people to get it. Instead of creating an overly expensive headset that no one can afford, it's our job to be community-forward and work out how those experiences can be delivered more broadly. You quoted a colleague of yours in a piece about the current state of AI and VR: “We live in uncomfortably exciting times.” Do you enjoy the challenge of working with such new tech? Jessica Brillhart: It's a great phrase from my friend of mine, Blaise Aguera y Arcas – he's a senior researcher at Google. We’re both working on technology that is very interesting, but we can't really pinpoint what it means yet. You have to build from the inside out and ask: what are the physics, what's the interactivity like, what's the agency? Each technology provides various limitations and different ways of reimagining those layers. Navajo Nation explores cultural issues such as the representation of Native American people. Do you believe that immersive media can make broader society a more inclusive place? How can VR evolve storytelling in films? Jessica Brillhart: In conventional filming, the viewer’s relationship with the frame is passive. You have emotional responses to what you’re watching, sure, but you don't do much else other than that. With VR, our audiences are inside our visuals, our constructions – that creates a different kind of dynamic in relationship. It elicits notions of what is natural behaviour, what is perception, and how this differs culturally by nature of where you grew up. It’s less about frames, and more about worlds – visitors enter our immersive stories and resonate with what is around them. It's all about that ebb and flow of how someone relates to a space. As well as your keynote film talk, Vrai Pictures will bring a number of immersive audio experiences to SXSW with the Traverse platform. How exciting is it to explore immersive audio? Jessica Brillhart: I think there's something really profound about what audio can do for immersive. There's so much complexity to music, but we've had to compress it to deliver it to people. If you listen to beautiful audio on great speakers, there's a presence to it – but even then, it's still a flattened experience. 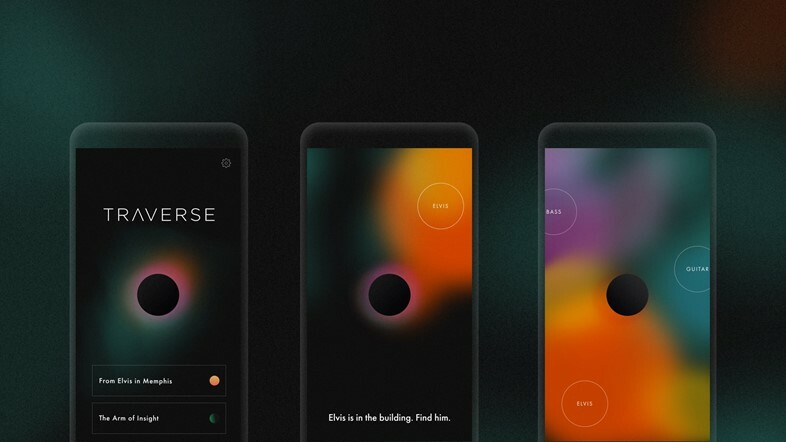 Traverse is essentially an audio platform driven by augmented reality technology that allows us to spatialise audio, so that you can walk around the music. What we’re providing with Traverse is the basic components that you need to feel like you're on Mars or you're hanging out with Elvis. What do you see as the biggest responsibilities involved in creative immersive experiences? Jessica Brillhart: We need to think very deeply about going beyond the surface. Not necessarily trying to make things work within preconceived systems, but actually questioning how the systems might be wrong in ways. I also think it's easy to get into this rut where we have to follow what technology gives us. If we only ever did that, we'd still be using clunky war cameras. Cinéma vérité, editing – we wouldn't have any of the tools that we have now if we just let things be run by the technology itself. It needs to be a constant conversation; hacking, tinkering, and in a way, making our own tools.